When I heard about the new line of Gigaset Me phones, I knew immediately I had to get my hands on one so I could bring you all a review. I've got a chance to take a look at all three offerings from the Gigaset Me line (the Me Pure, the Me, and the Me Pro) but for this review I decided to focus on the Gigaset Me, the middle of the road option which I feel best showcases the line in general. However, having used all phones, the similarities are more prevalent than the differences. Aside from a bit of extra screen real estate, the Me Pro doesn't include a whole lot more than the regular Me. But all of the phones are well-built and don't skimp on build quality even in the cheaper models. My first impression of the Gigaset Me was that it looked devilishly similar to a certain offering from a company named after a common fruit. The sleek looking stainless steel frame further contributes to this similarity in appearance, but also lend the Gigaset Me a seriously heavy-duty feeling. It feels great in my hand, like a solid and well manufactured device. And that bit of heft offered by the Me is far from dead weight. Inside the phone we find some pretty impressive specs: 3 GB of RAM, 32GB of storage for apps and media files, a 16 megapixel primary camera, UV sensor, heart rate monitor and fingerprint scanner. But how is first hand performance? From using the Me, I have to say everything loads quickly and I never felt like the responses were sluggish. The touch screen is extremely responsive and comparable with any high end touch screen I have used in the past. 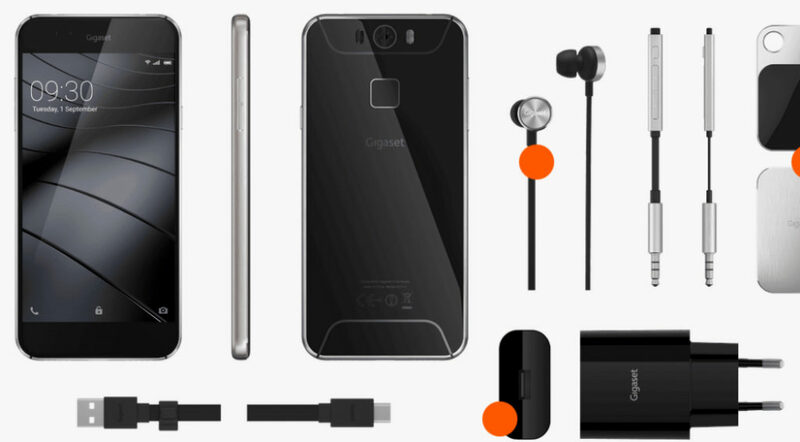 One of the big draws for the Gigaset Me line is Gigaset's inclusion of some neat cutting edge camera technology to improve the auto-focus capabilities of their phones. Now, I might not be much of a photographer, but the auto-focus on the Gigaset Me really is something. It is quicker to get something in focus and take a fast shot than on most smart phones I have used, and taking photos of objects in motion is now infinitely easier. One of my favourite features of the Me is the fact it includes two SIM card slots and one can double as a Micro-SD slot. I don't personally have a need for two SIM cards, but this could be quite handy if you do. The phone can be configured to handle the two numbers and SIM data from a single device, and has some nifty interface features to facilitate this. What I am really in love with is the ability to use one SIM slot as a Micro-SD slot. This enables me to give the phone an extra 128 GB in storage space! You might think “cool, that means you can have up to 160 GB of storage!” And that is true – with the proper Micro-SD card, the Me can cap out its available memory at a cool 160 GB. But the real treasure in having a Micro-SD slot is the fact it makes the memory virtually unlimited: as long as you have another Micro-SD card to swap in, you have all the space you could want. I'm still getting to know the Me and learn about all it has to offer. Stay tuned for much more on the Me! 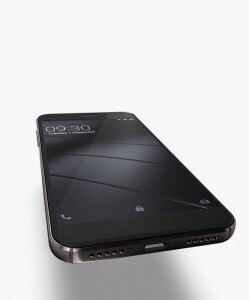 This entry was posted in Reviews, Mobile Phones on 19/09/2015 by Max.